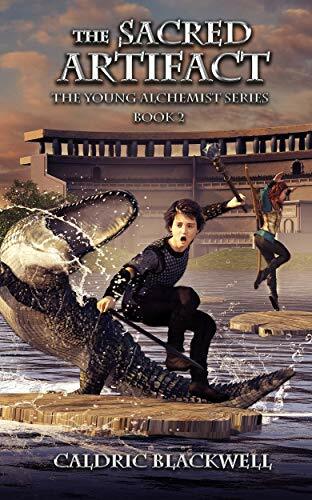 about this book: "The Sacred Artifact," the second book in the Young Alchemist series, is an action-packed middle grade fantasy novel that will delight young readers who enjoy whimsical, adventurous stories. The book follows fourteen-year-old alchemy student Craig Pike and his teacher, Cornelius, on their quest to uncover the secrets of a mysterious artifact. They know the artifact is powerful and could pose a danger to the world of alchemy if it falls into the wrong hands. Their journey takes them across dangerous lands and mystical cities. A meeting with an ancient, wise alchemist, named Quintus, changes their perspective on their quest and brings more questions than answers. Soon after, they are forced into a cutthroat tournament where they are aided by a witty archer and a young musician. They soon discover the artifact is more powerful than anticipated, and a rival alchemist is racing to uncover its secrets. It's a race against time, with both parties willing to risk everything to crack the artifact's code.